Nigerian women have encountered a number of problems while venturing into politics. There is large scale discrimination from the men folk, both in voting for candidates and in allocating political offices. More often than not, men constitute a larger percentage of the party membership and this tends to affect women when it comes to selecting or electing candidates for elections. Since men are usually the majority in the political party setup, they tend to dominate the party hierarchy and are there fore at advantage in influencing the party's internal politics. Women usually constitute a smaller per centage of political party membership because of the social, cultural and religious attitudes of different Nigerian societies which most often tend to relegate women to the background. As a result, only very few men, even among the educated, allow their wives to come out and participate in politics. In Northern Nigeria, for instance, an important factor inhibiting women's participation is the purdah system (i.e. house seclusion of women). Another problem facing women is lack of adequate education. Women constitute a larger per centage of the illiterate group in Nigeria. This could be attributed to the fact that in most families, parents prefer to send their sons to school, instead of their daughters whom they fee! would eventually get married and thus get incorporated into another family. Thus, a larger percentage of the girls remain uneducated and unexposed. Lack of adequate finance is a crucial hindrance to effective female participation in politics in Nigeria. A large portion of the Nigerian female population is not as financially strong as their male counterparts. Family responsibilities and childbearing also hinder women from participating effectively in partisan political activities. During a sizeable part of their adult lives, most women are involved not only in child bearing, but also in child rearing. TTius, much of the time they may have wished to devote to politics is taken up by their maternai challenges and obligations. The future prospects of Nigerian women in politics are bright. The 1991 census figures show that women are almost now numerically at par with men. Moreover, some of the obstacles highlighted above are already being removed. For example, the number of educated women in Nigeria has increased over the years. Many members of this new class are willing and able to participate effectively In politics at various levels. The number of girls admitted into schools, colleges, polytechnics and universities has increased phenomenally. In some states in the eastern part of Nigeria (e.g. Abia, Imo, Enugu, Ebonyi and Anambra), there are now more females than males in schools. In the northern part of Nigeria, a quiet but significant social revolution is now taking place among women. It may not be very long before education reaches the corridors of the purdahs. Even nomadic men, women and their children (including females) are now receiving education which is invariably a source of political, economic and social power. On the 13th of June, 1985, the Federal Government signed and ratified the convention on the elimination of all forms of dis crimination against women. 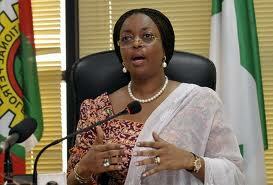 Subsequently, the Federal Government began to initiate policies and programmes aimed at improving the lives of women.